Masters Collection Green Dragon Pocket Knife - 3Cr13 Stainless Steel Blade, Aluminum Handle, Embossed Design, Pocket Clip | BUDK.com - Knives & Swords At The Lowest Prices! Only from the Masters Collection will you find a fantasy knife this brilliantly designed and executed. 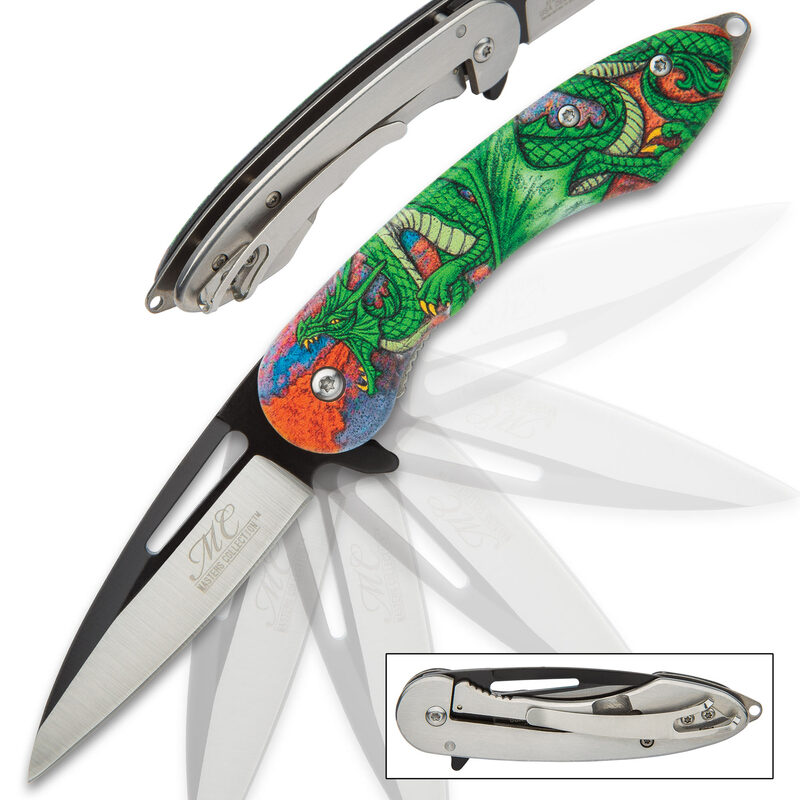 The Green Dragon Pocket Knife is ferocious with its roaring green dragon artwork, rendered in extreme detail and set against a vibrantly colorful background. The original art is embossed printed on one side of the aluminum handle and the other side has a solid, stainless steel pocket clip. 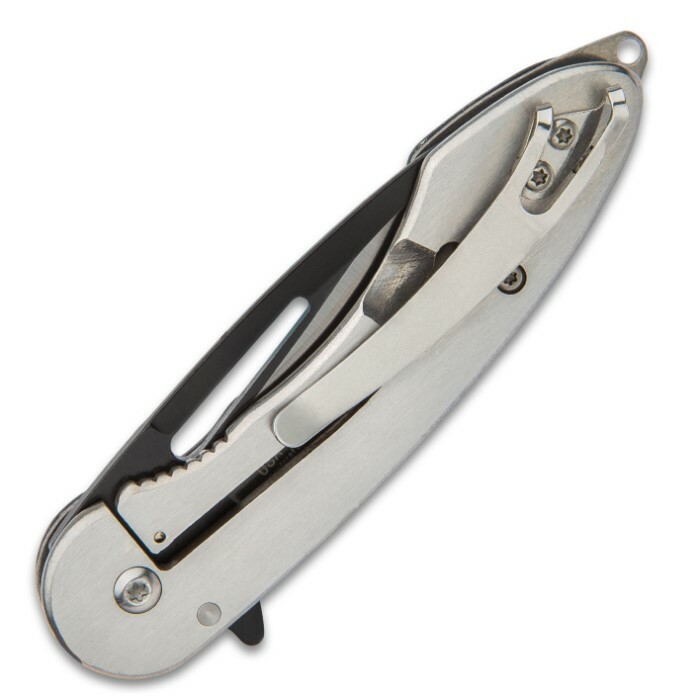 The pocket knife has a sharp 3” 3Cr13 stainless steel blade which is two-toned in black and satin. The tang extends past the handle end and has a convenient lanyard hole. 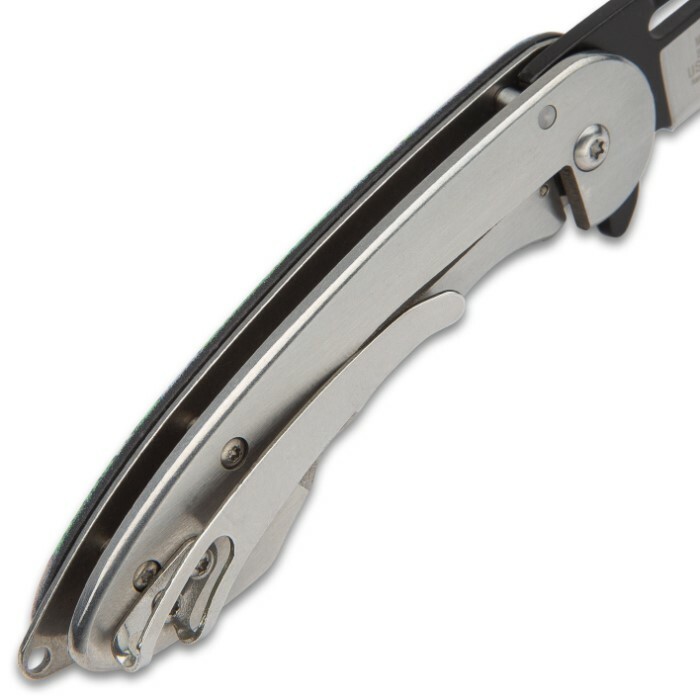 The blade can be quickly deployed with an assisted opening mechanism, using the flipper. The Masters Collection Green Dragon Pocket Knife is a necessity for your fantasy collection!